As a research and development foundation, Amref Health Africa recognises the dual benefits that can be derived from internship and volunteer attachment programmes. The organisation therefore offers local and international internship and volunteer opportunities. While both volunteer attachments and internships may be part of a learning programme, volunteer opportunities are also offered to out-of-school candidates who may be on sabbatical or who want to contribute to community service. Amref Health Africa offers various internship opportunities at its headquarters in Nairobi, country offices in Africa and Northern offices in Europe and North America. – Internships at Amref Health Africa are defined as structured learning experiences in which interns are exposed to the various aspects of Amref Health Africa’s operations and programmes. – All internship placements are based on clearly identified needs driven by the objectives of Amref Health Africa’s Business Plan. – Amref Health Africa coordinates internships as supervised programmes of work and study based on clearly-defined terms that are mutually beneficial to the intern and to Amref Health Africa. – One must apply and be selected in order to join Amref Health Africa’s internship programme. – Internships are open to diploma, degree, post-graduate and doctoral students who wish to acquire knowledge and experience of a real work environment to the mutual benefit of both the organisation and the Intern. Interns are fully involved in the work programme of the unit relevant to their studies under the supervision of a responsible staff member. – Interns are expected to contribute their skills, knowledge and competencies while acquiring supplemental training in their areas of specialisation but are not full-time employees. They are not substitutes for full-time staff. – Amref Health Africa does not offer any payment for internship. – Internships are normally offered for a period of three but can be extended to a maximum of six months. An intern will work an average of 40 hours per week. – Amref Health Africa will accept internship placements quarterly: January, April, July and October for those applying from Africa; and July and October for applicants from outside of Africa. – Available positions will be posted on Amref Health Africa’s website during the month of October every year. 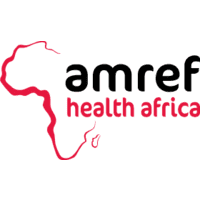 – Submit an application to undertake internship training at Amref Health Africa. All applications must be submitted to the relevant HR office through the address provided below. – Specify why he/she has chosen Amref Health Africa for internship, the benefits expected from completing the internship (eg how it fits into the applicant’s studies or career plans), and how this contributes to Amref Health Africas objectives. – The application for internship shall be accompanied by a supporting letter from his/her learning institution, where relevant. – In countries where Amref Health Africa operates, the application will be forwarded through those Amref Health Africa offices if the request is for placement in a different Amref Health Africa office. The following Internship opportunities are available. – Interns shall be recruited through notices on the Amref Health Africa website, indicating the type of interns required, the period of time each is needed, and the deadline for applying for the internship. – Applications and interviews for internships shall be coordinated by the respective HR office in conjunction with the requisitioning programme head or a representative. – Selection will be based on the job description prepared for this purpose and the best suited candidates will be selected. NB: Please note that due to the large number of applicants, we are not in a position to reply to each request and only shortlisted candidates will be contacted for interviews. Important: Please indicate your area of specialisation on the subject of the email when applying for an internship with Amref Health Africa. NOTE: Amref Health Africa does not require or expect prospective and existing Interns to make any form of payment to secure and work as Interns within Amref Health Africa through the Corporate, Country, National and its field offices.